I went to Madrid for four days last week. Most of that time was spent in the Prado museum and the Reina Sofía museum with Amanda. I sent a few postcards after the visit. One of the Sunken dog (Perro Semihundido) and one of The Execution of Torrijos and his companions at Málaga Beach (El fusilamiento de Torrijos y sus compañeros en la playa de Málaga). Those are two of my three favourite paintings. The third is Guernica and I didn’t feel like sending a postcard of that one. 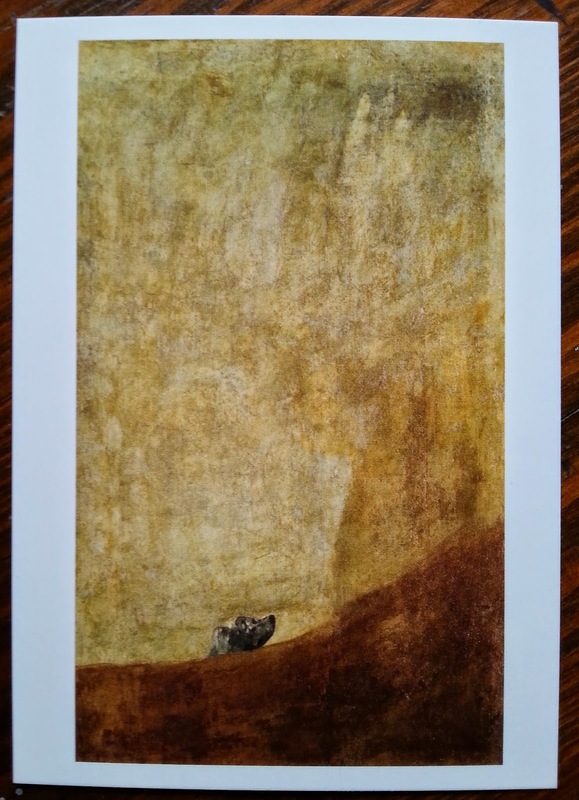 Sunken Dog was painted by Goya onto the wall of his house and is considered as never meant for exhibition. 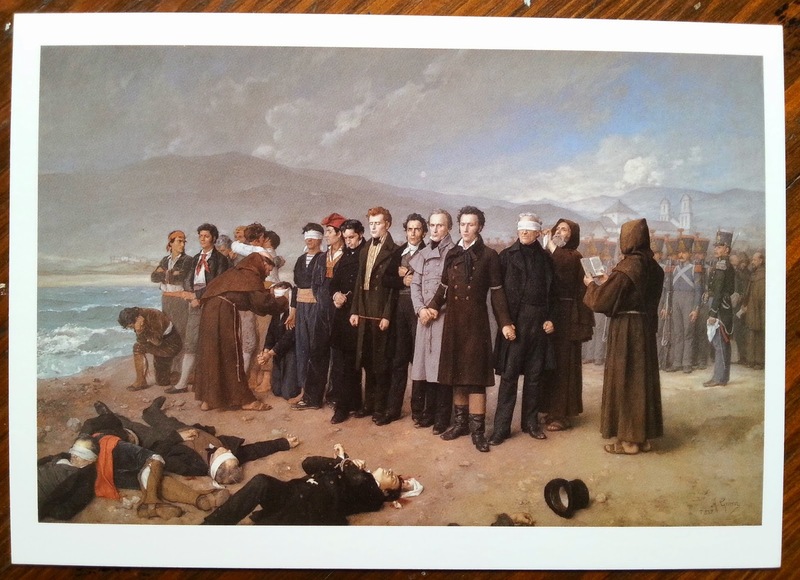 The execution on the beach is a representation of killing by an absolute ruler of people fighting for some form of liberty in Spain. A big part of returning to Madrid for me was being able to revisit the painting Guernica in the Reina Sofia and to finally make it to the second floor of the Prado to explore the artwork there. I was reading something on the Spanish Civil War generating a large corps of partisan news reporters who soon after arriving to report on the conflict sided with the Second Spanish Republic in an ultimately doomed fight for liberty. Some quit their jobs with right-wing papers to enter the war. I think my interest in the three artworks above is tied to the failure of that fight and the ongoing failure of the left in Australia and globally. I could try and unpack that here but won’t, I write poetry to do that. This week Pascalle Burton published the third issue of her zine, Today, the Voice you speak with may not be your own. It has a poem that I started after my last visit to Spain and finished while on this residency. 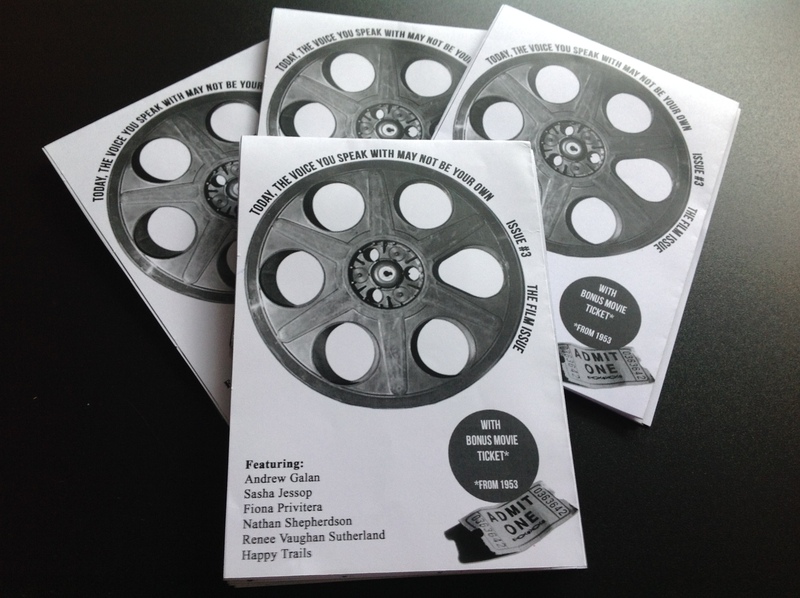 This issue has the theme ‘Film’. The last week has been focussed on a restructure of the manuscript, which is going at a slow pace, putting together two fifteen minute performances, and writing my first ever grant application. We have an Open Studio here in Can Serrat on 28 June, I plan to use one of the performances I am developing for that event.